2018 was a good year for office construction, which experienced an increase of 62,000 more square feet than in 2017. The top 3 projects contributing to this increase were 27,500 SF at 3302 Valencia Dr. (Bingham Memorial Hospital); 22,973 SF at 1460 Elk Creek Dr. (Connections Therapy); and 35,000 SF at 1207 S. 25th (CAL Ranch). North Idaho Falls saw the majority of industrial space transactions (51%). This is most likely driven by industrial market expansion into North Idaho Falls, as evidenced by the fact that all new industrial construction for 2018 occured in the North submarket. 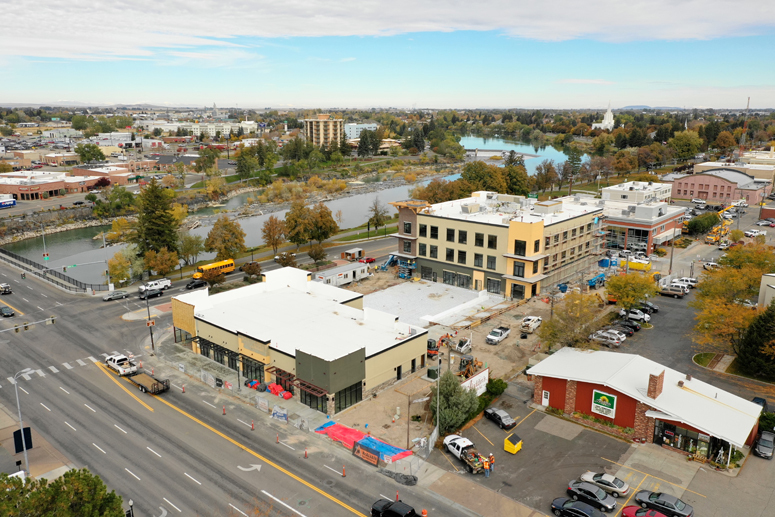 Vacancy in the retail market hit a record low (2.4%) in South Idaho Falls, due to 80,800 SF of positive net absorption. The top 3 contributors to this positive net absorption were U-Haul’s purchase of the old K-mart building (104,000 SF); Deseret Industries occupying a new store (48,600 SF); and Goodwill leasing space at the Idaho Falls Retail Center (21,600 SF).